A fillet weld, the joining of two perpendicular pieces of metal, often presents a difficult challenge. Anytime two pieces of metal are joined through welding, there’s going to be a resulting seam and excess slag. If fabricators and welders want to create a finished product without obvious seams, they’ll need to grind the surfaces where the two pieces of metal were joined. With fillet welds, this grinding takes place in hard-to-reach angles and corners. Removal of fillet welds is historically accomplished with a bonded (or “rough”) grinding wheel, which is difficult to control, and leaves a gouged, uneven surface that needs to then be smoothed with a finer secondary operation. 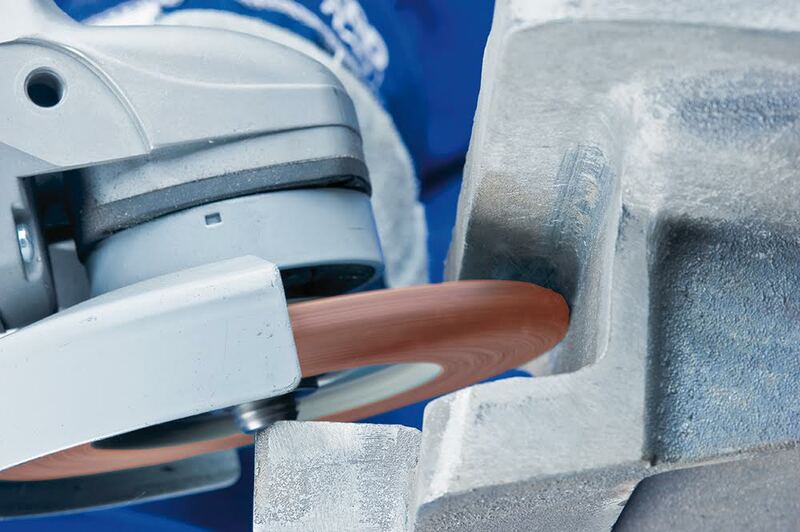 With POLIFAN®-CURVE flap discs, however, fillet weld seams and slag disappear in seconds, leaving a smooth finish. This also makes it easier to find cracks and inclusions in the fillet if any are present. Using this disc, welders can grind and finish their work in one step, which saves time while providing a seamless result. The design of POLIFAN®-CURVE is truly what sets it apart from conventional flap discs. 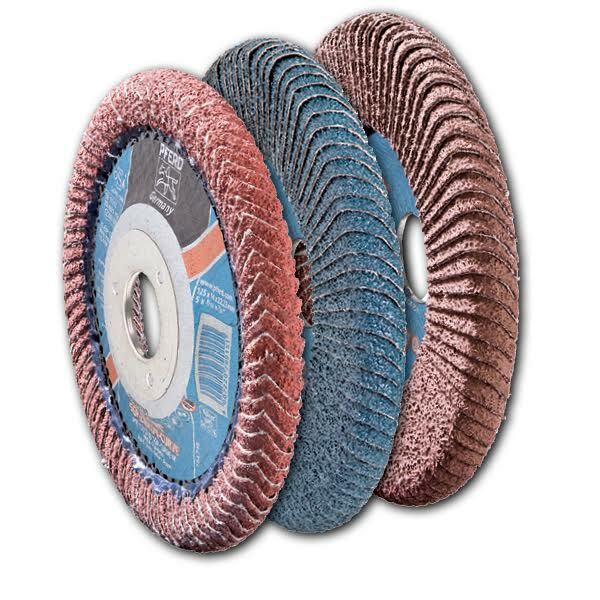 While conventional grinding products typically have only one grinding surface, this patented flap disc has three working surfaces – the top face, bottom face, and radial edge –it is not only the secret that allows it to get into tight corners or over odd curves, but it also gives the user a lot more abrasive to work with. The radius edge of a POLIFAN®-CURVE disc has an additional advantage: Grinding a weld away to a perfect radius is not only a cosmetic advantage, but a structural one as well. A near-perfect radius causes any stress points in the workpiece to be evenly distributed at the weld seam. aluminum and Ceramic Oxide. One example of a project that was completed thanks to the POLIFAN®-CURVE can be seen on YouTube, as Garage Bound, LLC repairs a vintage semi stack holder. We’re always excited to see how customers in real life applications are using our products in their workshops on a daily basis. More examples of POLIFAN®-CURVE’s grinding and surface finishing capabilities can be found on our YouTube channel. Because this is patented technology, PFERD and our authorized distributors, along with select retail outlets, are your only source for this one of kind product. For more information, feel free to read through the POLIFAN®-CURVE product brochure, or give us a call at (800) 342-9015 to discuss your needs. And if you have your own video to share, be sure to give us a shout on Twitter so we can share it in our networks, too! and outstanding demands in aggressiveness and tool-life. The unique radial shape (PFR) offers convincing benefits regarding aggressiveness and tool-life thanks to its special flap construction.